ROPE is a very effective projection technique, but it still has to be learned to be effective. I would like to elaborate on a couple of points about the technique, inspired by the feedback I have received so far. You need to *mentally* grit your teeth and strain with the action, i.e., you have to put maximum mental effort into it, as if you were really climbing a ROPE, but without allowing your muscles to take part in it – this is ALL mental. Your body must not be allowed to respond. You also need to feel you are very strong, full of energy and could climb like this all night. 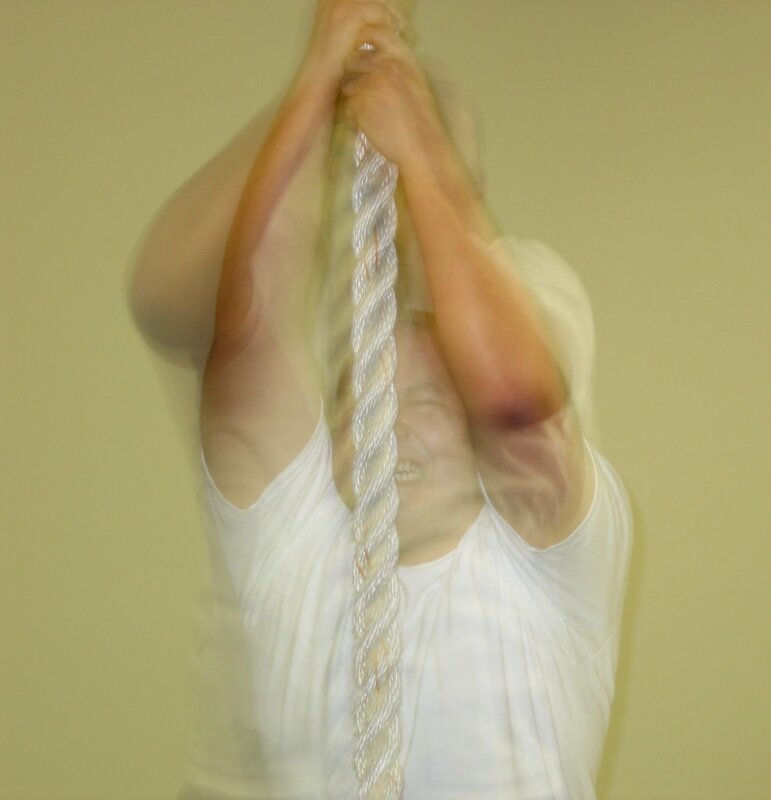 To use ROPE successfully, it is extremely important to make a firm decision to DO IT. This commitment is VERY important to success. A DO OR DIE effort is needed. This focuses all your mental energy into a single point, for a single purpose – to exit your body. Many people have emailed me with ROPE success stories. In every case – they have been practising ROPE when they suddenly decided to give it a go – TO REALLY DO IT! This commitment to succeed means the difference between actually getting out – OOBE – and experiencing various levels of ROPE induced relaxation, trance, paralysis, chakra activity etc. I cannot stress enough the importance of this commitment to the success of ROPE induced OOBE. Because the simple use of ROPE is less complex, you will find yourself attempting projection more often, even when you are tired one of the best times to try – and cannot be bothered with anything complicated. The increased frequency of your projection attempts gives you more practise with ROPE and hence the technique will be mastered sooner. 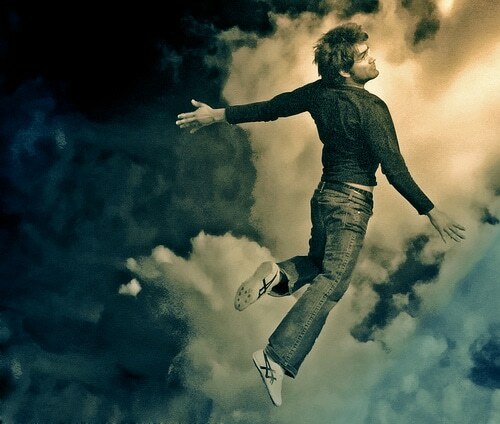 To become Lucid in dream you need to program yourself with a trigger to make you realise when you are dreaming, in order to take control over it, i.e., become lucid. The best way of doing this is by getting into the habit of doing frequent reality checks during your daily life. Hands:Every time you notice your hands, do a reality check. Note: To improve your memory of the L.D. don’t forget to remind yourself constantly during the L.D., to remember it all. Visualise a place you would like to be. (Instantaneous travel). This will usually move you to a dream pool similar to your visualised target destination. Many people have motion problems in their first few projections. Simply getting across a room in the right direction, can be a major accomplishment. This lack of control is simply because they are unfamiliar with astral form. It is like being in zero gravity. You have to learn to move all over again. When you project in real time, you are just a point of consciousness with a poorly constructed etheric shell surrounding it. Motion is provided by thought – not muscles. It really is quite a comical process, learning astral motion. I remember learning to move about my home town, in my youth. I would start by trying to navigate through my house, usually ending up stuck in the roof, for a while. Then I would run down the road, trying to build up speed and take off like a plane. I would get airborne for a while, but could never quite clear the roof tops of the surrounding houses. I would often float unintentionally into strange houses, blundering about like a drunk in zero G. I seemed to be endlessly apologising to all these strangers in passing, as I floated in and out of their houses. To move about in astral form, simply – DO IT. Do not think about what you are doing, just DO IT. Be aware that motion is provided by your mind. You have to will yourself into motion, to change direction, and to stop. This is the best advice I can give you on this. It really has to be learned by doing. Have fun. When you have learned basic motion, do not try anything too ambitious for a while. Stick close to the surface and learn to get around your local area first. Practise varying your speed until you gain some control over it. Learn to fly the same way as you learned to move, by using your mind. At first you may find something very much like gravity affecting you. You may get yourself into the air only to find yourself slowly arcing back to earth again. If you persevere you’ll find yourself moving in a series of short flight hops. This is caused partly by habit and partly by the basic motion problem in general. You sink back to earth when your motion causing mental action falters. This causes your flight impetus to stop and the gravity habit then pulls you down. With practise and good mental control, you CAN vary your speed to your purpose, from walking speed to supersonic speed. This is a big problem for the beginner though, the control of direction and speed. It has a lot to do with how stable the projection is and how experienced you are at applying your will to motion. It is generally accepted that if you can visualise a destination you can project yourself there instantly, at the speed of thought. I find this instantaneous method usually projects you straight into a subjective location created by the visualisation of your target. You may appear to be at your destination but you will usually find many discrepancies between the real location and where you are. Instantaneous travel is very like VRP. By using your visualisation powers to travel with, you will not actually travel. You will create a subjective copy of a destination and enter it. I have found it more reliable to follow the surface for short to medium distance projection of up to a few hundred miles. Even this can be difficult as it is easy to fall into the Alice effect while travelling. All you have to do is break concentration once and you will slip into a dream pool. Strict mental control must be maintained at all times when travelling in real time. There are * NO * limits to distance, destination or speed. You can travel to the most distant galaxy. The speed of thought is infinite. It is like folding space and moving without moving. If you can see something, you can be there….as quick as that. In comparison, the speed of light is that of a snail. I often go out into deep space, where the galaxies are just tiny smudges in the distance, to think and meditate. That is easy, but the trick is getting back for a conscious re-entry. Unless you have a good knowledge of astronomy, which I do not, this is difficult. Following the silver cord, if you can see one, is not practical at that kind of speed, though it will give you a basic direction to go in.